Universal Pictures has released the first official trailer for next summer’s “Jurassic Park” sequel starring Chris Pratt and Bryce Dallas Howard. 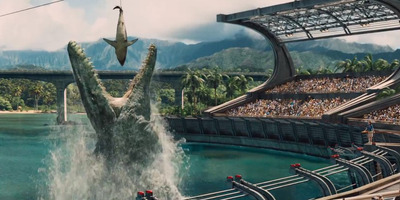 Called “Jurassic World,” the film takes place 22 years after the original movie where people from all over the world are visiting a dinosaur theme park. Attendance at the park starts to dwindle over the years. To spice things up, scientists create a new, modified dinosaur that’s inherently smart. 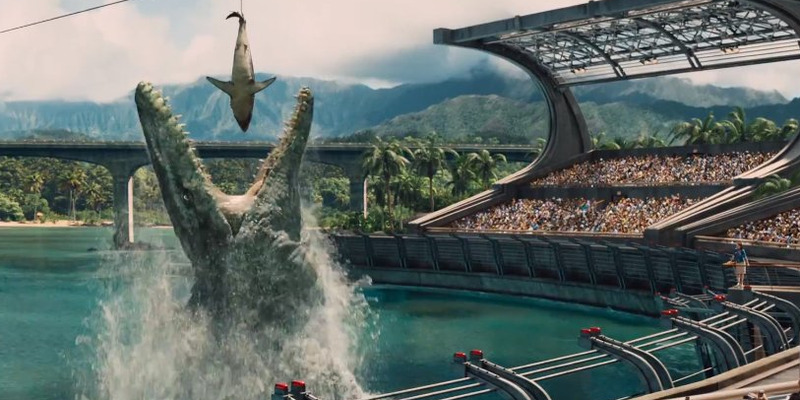 “Jurassic World” is in theatres June 12, 2015. … and subsequently running alongside Pratt on a motorcycle.